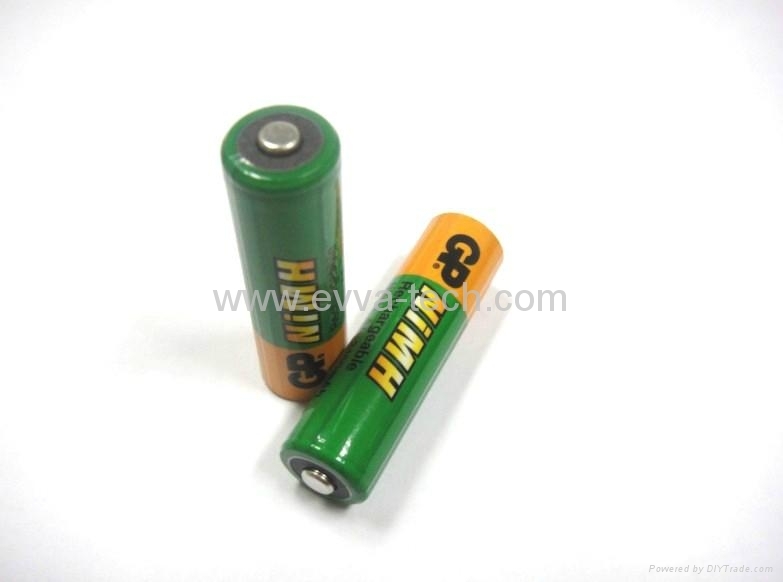 GP NI-MH AA battery 270AAHC 2700 . GP NiMH (nickel metal hydride) rechargeable batteries have a high energy density and deliver more than double the capacity of NiCd (nickel cadmium) batteries of a similar size. They are particularly suited for high-drain applications, and are available in a variety of capacities and sizes. All NiMH types offer fast charge capability, a life of up to 1000 recharge cycles, and no memory effect. A re-sealable safety vent is incorporated to relieve internal pressure in the event of misuse. Polarity reversal and over-discharge protection mechanisms are also incorporated.